A view over Machir Bay at low tide on a sunny October morning in 2013. The view is from the track over to Kilchiaran, somewhere below Granny’s Rock. Ballinaby and Smaull are also visible in the distance. 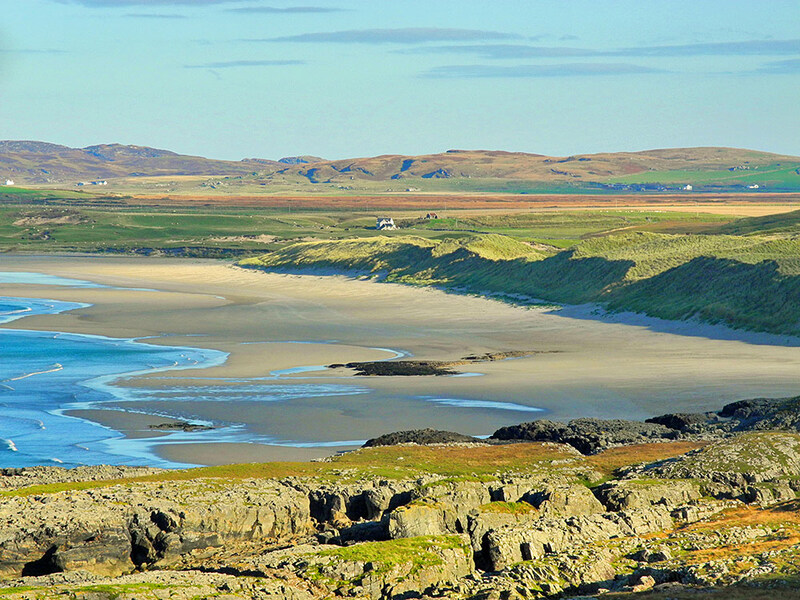 This entry was posted in Beaches, Landscape, New Post, Sunny Weather and tagged Ballinaby, Islay, Kilchoman, Machir Bay, Rhinns of Islay, Smaull by Armin Grewe. Bookmark the permalink.